Do cats shed more than dogs? Do cats shed more than dogs? As you might expect there isn’t a simple black and white answer to this question. 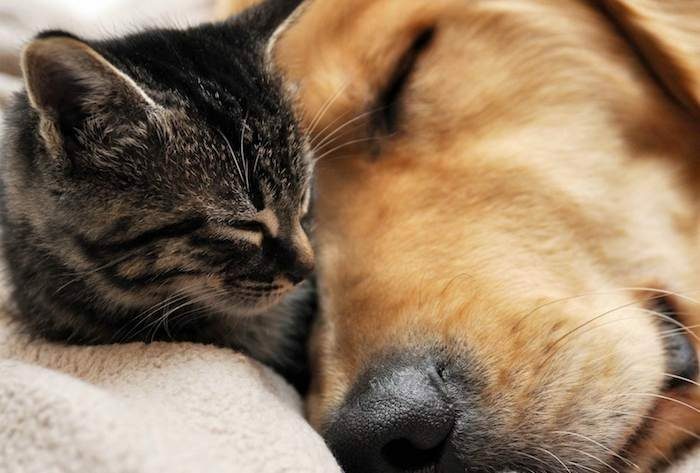 There are so many different breeds of cats and dogs, and some shed more than others. So let’s take a closer look and see if we can’t shed some light on this tricky subject. Why and how do cats and dogs shed in the first place? All dogs and cats shed at least some fur throughout the year. Regardless of ailments and illnesses which can exacerbate shedding, healthy cats and dogs need to shed fur for various reasons. Just like humans, cats and dogs naturally shed some hair throughout the year. Of course it’s particularly noticeable when the weather gets warmer when the need to shed fur in order to be comfortable in warmer weather. Cats and dogs have a topcoats and undercoats. Some breeds have just an undercoat, but many common breeds have both. The topcoat is the stiffer, more robust layer of hairs which provide protection and a certain amount of waterproofing. The undercoat is a much finer, softer layer of hair which directly covers the skin and keeps the animal warm and soft. An interesting piece of science is that cats and dogs shed according to how much exposure they are getting to sunlight. The more daylight hours they are exposed to, the more melatonin is produced, which heavily effects the growing and shedding cycle. The thing with cats, is that their fur and dander is often far lighter and finer than dog hair, so it stays airborne a lot longer. Because the fur and dander is dispersed through the air, it’s far easier for people to breathe it in and experience allergic or asthmatic symptoms. Perhaps this is why a lot of people assume cats are heavier-shedders than dogs. Generally, cats with long hair are more prone to heavy shedding, and the shedding is more apparent as the hairs are longer and larger when they cover your floors and upholstery. Cats tend to shed all year round, as different hair follicles go through phases of growth and shedding at the same time. Which cat breeds shed the least? Another interesting thing to note, is that cat saliva and skin oil is partly the reason why people are so allergic to cats. There are certain proteins present in saliva and oil which cause many cat-related allergies. Since the hair is so widely dispersed throughout your home due to its fluffiness and lightness, more of these proteins are strewn about, ready to make you sneeze! Some dogs, such as poodles, only have one coat, so they don’t shed nearly as much as double-coated dogs. Double-coated dogs vary in their shedding habits. Some might do a “heavy shed” once a year, according to the weather. Others shed throughout the year, generally shedding the undercoat twice, and the top coat once. The modern world and the way we live in our homes affects the regularity our dogs’ shedding process. Most modern homes have air-conditioning and heating systems which alter the seasonal temperature of the air. We also have constant artificial light in our homes too, which also somewhat confuses the “shed-schedule”. If your dog lives mostly inside, the type of light and air in your home will certainly affect the amount of shedding. In the Summer, if your dog is enjoying a lovely, cool home, he won’t shed as much, as he is already being kept at comfortable temperature and his follicles won’t get the message that they need to do a heavy shedding session. The same goes for Winter; if your dog is kept inside where it is heated, he won’t need to grow an extra-thick coat. Your dog will still shed, but it will be more due to the natural grow-and-shed process that happens throughout the year. The heavy, seasonal grow-and-shed process will be lessened and you won’t notice those phases of large fur-deposits all over your house. So, do cats shed more than dogs? After all of that, the short answer is…it depends on the breed! Unless you have a hairless breed, your cat or dog will shed at least some fur. If you have a medium to heavy shedder, you can keep the shedding managed by regular grooming and brushing. A good vacuum cleaner with furniture attachments is essential as well, so you can keep your floors and furniture reasonably hair-free! 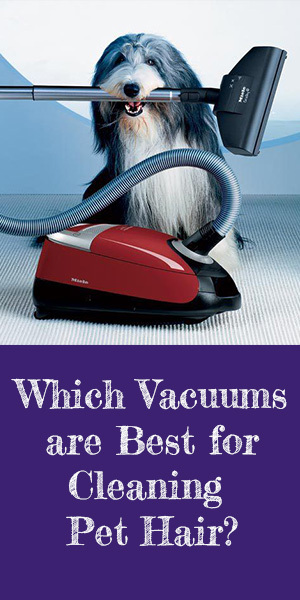 If you have asthma or allergies, it’s crucial to get a vacuum cleaner with an HEPA filter, as it will capture the tiny particles from your pet which can cause flare-ups.